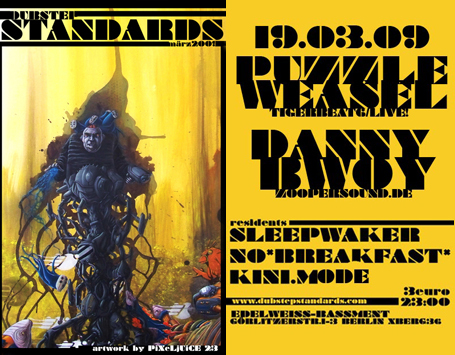 Catch me at the bi-weekly Dubstep Standards basement rave-up in Kreuzberg this Thursday. This one’s gonna be daaaark and grimey…. Only 3 Euros on the door!